Danebank scholars receive outstanding opportunities to discover their strengths, express their creativity and achieve to their potential. Our Scholars enjoy the school’s dynamic, friendly and empowering environment that believes girls can do anything. State-of-the art facilities and advanced technological infrastructure enhance students’ capacity to pursue their learning with relish. Staff are dedicated professionals whose care and expertise is widely acknowledged. Our students achieve outstanding academic outcomes as a result. 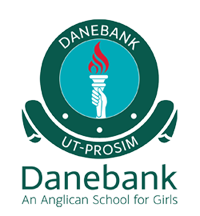 In recent years, Danebank students have achieved amongst the top in the state and country. Two students have represented Australia at Youth Science Seminars overseas, a number of students have achieved close to maximum marks in HSC Mathematics courses, and others have been finalists in prestigious Art Competitions, including the Young Archibalds. Danebank maintains an innovative approach to teaching and learning. The school was one of the first in Sydney to introduce iPad technology as part of everyday learning. The school continues to focus on the latest research-based approaches to best teaching practice. Former students include women leaders, including globally, in fields such as Medicine, Engineering, Law, Dentistry, Education, Business and Academia. Danebank intends to maximise the potential of gifted students through differentiated learning experiences and to ensure that all gifted and talented students are offered a learning environment that challenges and supports them in their learning. Danebank offers gifted students the opportunity to study in an accelerated Mathematics class which will continue to HSC level. Differentiated programs for gifted and talented students in the classroom provide activities particularly suited to their aptitudes. Extension work that stretches the boundaries of students who have mastered core curriculum content and processes. Provision of opportunities for the application of knowledge beyond the classroom such as da Vinci Decathlon, Mock Trial and SCIENTIA. Access to experts engaged in key fields of expertise related to subject content. Open High School for girls who would like to extend their studies outside the Danebank curriculum. Graded classes and special enrichment programs and opportunities to challenge gifted students within class groups. Acceleration for individuals may be offered to outstanding students in relevant subject areas. Gifted and talented students sit for many academically challenging competitions, attend special workshops, field trips and excursions. We believe that girls achieve their best in an all-girls environment where ALL activities and opportunities are for girls and there are no gender restrictions. Danebank girls are encouraged to applaud their classmates for their successes and to always be mindful of the needs of others. Our girls forge great friendships that are life-long. Danebank offers opportunities for all girls to develop their talents beyond the classroom, with programs in music, drama, debating, sports, leadership, outdoor education, and service to others. This is all supported by the strong Christian culture of the School. Christian clubs, programs and activities are also offered. The school offers Academic and Music Scholarships each year for entry to Year 7. The scholarships may be full or half, covering tuition fees for the length of the student’s attendance at the school. Scholarship application and testing is for Year 5 2019, for entry into Year 7 2021. Scholarships will only be awarded to Australian residents. Details of scholarships, how to apply and what should be submitted are listed below. Step 2: Send a letter to the school indicating that you have registered. Include copies of your daughter’s last two (2) school reports and most recent NAPLAN results. Scholarships will be awarded based on the results of the Scholarship Exam & student’s school reports. If school reports are not received, the student will not be considered for a Scholarship. A half scholarship will be awarded to the daughter of a former student, entering Year 7. Scholarships are awarded based on Results of the Scholarship Exam & student’s school reports. If school reports are not received, the student will not be considered for a Scholarship. Full or Half scholarships are awarded to gifted Music students entering Year 7. NB: Students may apply for both an Academic and a Music Scholarship. You should make this clear on your application documentation to the school. Step 2: Write a letter to the school indicating that you have registered. Supply copies of the students last two (2) school reports and most recent NAPLAN results. NB: A Music Questionnaire will be part of the online registration process. Selected students will be invited to audition in October. Awarded based on results of Scholarship Exam, student’s school report & the audition. Students will not be considered for a Scholarship unless all documentation requested has been received by the school. Life Skills Scholarship - for students with an intellectual disability. To sit for the Scholarship, do I need to have already applied for Danebank for my daughter? Can current students apply for Scholarships? Scholarships are awarded from Year 7 to Year 12. What Fees does the Scholarship apply to? Are there any practice papers for my daughter to try? No, however some helpful information to assist your daughter regarding the tests can be found at http://www.academicassessment.com.au/parents/test-preparation/. Will we get feedback on our daughter’s performance? Yes – a report (somewhat like NAPLAN in structure) will be available after the process has been completed. What happens in the Music audition? Students are asked to prepare TWO (2) pieces of contrasting style, of no more than 3 minutes each. Students who need accompaniment may bring a live accompanist or use a CD or other device (eg iPad). Some instruments will not need accompaniment. However vocalists will always need some form of accompaniment. My daughter is preparing for Music exams currently. Can she use the same pieces for her audition? Yes, she can as long as they are no longer than three (3) minutes each. My daughter plays an instrument but has not completed any Grade work. Can she still apply? Yes, however you should speak to her music teacher to confirm if, in their opinion, she is of an appropriate standard i.e. at least Grade 3. My daughter plays more than one instrument. What should she do? She should audition with her strongest instrument. My daughter has other skills too. Will these be taken into account? The scholarships are based on the result of the exam and any audition, if applicable. However should you wish to provide any further information in the application process, we will keep this information on file. I am unable to sit the exam on the date. Is there another date? No. This exam is a one-off exercise, to ensure strict consistency and security in the assessment process. Danebank Scholarships are highly prized and are awarded tostudents of strong academic merit. We wish all applicants the best for their entry to Year 7.